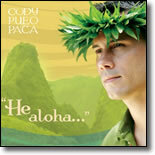 - Cody "Pueo" Pata is an award winning practitioner of many things Hawaiian. Besides his considerable vocal and musical talent, he is a skilled dancer, chanter, lei-maker and Hawaiian linguist. He was the grand winner of the Frank B. Shaner falsetto contest in 2000, and was recently awarded the Keola Dasha Beamer music award at the NW Hula Competition in Seattle. 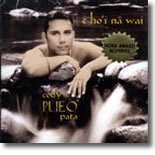 "E Ho'i Na Wai" is his first recording and it has been greeted with unprecedented accolades throughout the Hawaiian music community. 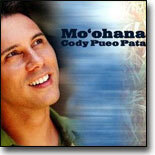 Picked as radio KNUIs #1 CD of 2001, it also received Hoku Nominations for "Most Promising New Artist" and "Best Hawaiian Language Performance". A great CD-Keep your eyes on him!! !